My work is currently focused on statistical machine translation, but more broadly defined, my interest is to make use of the vast amount of information that is available in digital form. My book on statistical machine translation is now available from amazon.com . More on the Machine Translation Group here. Come and join our weekly meeting! I am also affilliated with the University of Edinburgh, some more information can be found on a web page there. Global Voices Parallel Corpus, 2015, 2016. Parallel Corpus European Parliament Proceedings, 2001, 2003, 2007. German-English Parallel Corpus "de-news", Daily News 1996-2000, 2000. Context and Copying in Neural Machine Translation, Rebecca Knowles and Philipp Koehn, Conference on Empirical Methods in Natural Language Processing (EMNLP), 2018, pdf, bib. Iterative Back-Translation for Neural Machine Translation, Vu Cong Duy Hoang, Philipp Koehn, Gholamreza Haffari and revor Cohn, Proceedings of the 2nd Workshop on Neural Machine Translation and Generation (NMT), 2018, pdf, bib. Regularized Training Objective for Continued Training for Domain Adaptation in Neural Machine Translation, Huda Khayrallah, Brian Thompson, Kevin Duh and Philipp Koehn, Proceedings of the 2nd Workshop on Neural Machine Translation and Generation (NMT), 2018, pdf, bib. Document-Level Adaptation for Neural Machine Translation, Sachith Sri Ram Kothur, Rebecca Knowles and Philipp Koehn, Proceedings of the 2nd Workshop on Neural Machine Translation and Generation (NMT), 2018, pdf, bib. On the Impact of Various Types of Noise on Neural Machine Translation, Huda Khayrallah and Philipp Koehn, Proceedings of the 2nd Workshop on Neural Machine Translation and Generation (NMT), 2018, pdf, bib. Freezing Subnetworks to Analyze Domain Adaptation in Neural Machine Translation, Brian Thompson, Huda Khayrallah, Antonios Anastasopoulos, Arya D. McCarth, Kevin Duh, Rebecca Marvin, Paul McNamee, Jeremy Gwinnup, Tim Anderson and Philipp Koehn, Proceedings of the Third Conference on Machine Translation (WMT) 2018, pdf, bib. Findings of the 2018 Conference on Machine Translation (WMT18), Ondřej Bojar, Christian Federmann, Mark Fishel, Yvette Graham, Barry Haddow, Philipp Koehn and Christof Monz, Proceedings of the Third Conference on Machine Translation (WMT) 2018, pdf, bib. Findings of the WMT 2018 Shared Task on Parallel Corpus Filtering, Philipp Koehn, Huda Khayrallah, Kenneth Heafield and Mikel L. Forcada, Proceedings of the Third Conference on Machine Translation (WMT) 2018, pdf, bib. 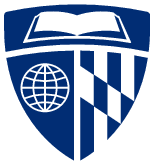 The JHU Machine Translation Systems for WMT 2018, Philipp Koehn, Kevin Duh and Brian Thompson, Proceedings of the Third Conference on Machine Translation (WMT) 2018, pdf, bib. The JHU Parallel Corpus Filtering Systems for WMT 2018, Huda Khayrallah, Hainan Xu and Philipp Koehn, Proceedings of the Third Conference on Machine Translation (WMT) 2018, pdf, bib. Exploring Word Sense Disambiguation Abilities of Neural Machine Translation Systems, Rebecca Marvin and Philipp Koehn, Proceedings of the 13th Conference of the Association for Machine Translation in the Americas (AMTA), 2018, pdf, bib. Lightweight Word-Level Confidence Estimation for Neural Interactive Translation Prediction, Rebecca Knowles and Philipp Koehn, Proceedings of the AMTA 2018 Workshop on Translation Quality Estimation and Automatic Post-Editing, 2018, pdf, bib. A Comparison of Machine Translation Paradigms for Use in Black-Box Fuzzy-Match Repair, Rebecca Knowles, John Ortega and Philipp Koehn, Proceedings of the AMTA 2018 Workshop on Translation Quality Estimation and Automatic Post-Editing, 2018, pdf, bib. Zipporah: a Fast and Scalable Data Cleaning System for Noisy Web-Crawled Parallel Corpora, Hainan Xu and Philipp Koehn, Proceedings of the 2017 Conference on Empirical Methods in Natural Language Processing (EMNLP), 2017, pdf, bib. Six Challenges for Neural Machine Translation, Philipp Koehn and Rebecca Knowles, Proceedings of the First Workshop on Neural Machine Translation, 2017, pdf, bib. Neural Lattice Search for Domain Adaptation in Machine Translation, Huda Khayrallah, Gaurav Kumar, Kevin Duh, Matt Post, Philipp Koehn, Proceedings of the International Joint Conference on Natural Language Processing (IJCNLP), 2017, pdf, bib, code, slides.ppt, slides.pdf. Knowledge Tracing in Sequential Learning of Inflected Vocabulary, Adithya Renduchintala; Philipp Koehn; Jason Eisner, Proceedings of the 21st Conference on Computational Natural Language Learning (CoNLL), 2017, pdf, bib. Predicting Target Language CCG Supertags Improves Neural Machine Translation, Maria Nadejde, Siva Reddy, Rico Sennrich, Tomasz Dwojak, Marcin Junczys-Dowmunt, Philipp Koehn and Alexandra Birch, Proceedings of the Second Conference on Machine Translation (WMT), 2017, pdf, bib. The JHU Machine Translation Systems for WMT 2017, Shuoyang Ding, Huda Khayrallah, Philipp Koehn, Matt Post, Gaurav Kumar and Kevin Duh, Proceedings of the Second Conference on Machine Translation (WMT), 2017, pdf, bib. Findings of the 2017 Conference on Machine Translation (WMT17), Ondřej Bojar, Rajen Chatterjee, Christian Federmann, Yvette Graham, Barry Haddow, Shujian Huang, Matthias Huck, Philipp Koehn, Qun Liu, Varvara Logacheva, Christof Monz, Matteo Negri, Matt Post, Raphael Rubino, Lucia Specia and Marco Turchi, Proceedings of the Second Conference on Machine Translation (WMT), 2017, pdf, bib. CADET: Computer Assisted Discovery Extraction and Translation, Scott Miller, Kevin Duh, Mark Dredze, Benjamin Van Durme, Tim Finin, Tom Lippincott, Philipp Koehn, Shudong Hao, Pushpendre Rastogi, Chandler May, Adam Poliak, Tongfei Chen, James Mayfield, Dawn Lawrie, Deana Burchfield, Cash Costello, Craig Harman, Max Thomas, Annabelle Carrell, Julianne Chaloux, Alex Comerford, Benjamin Glass, Patrick Martin, Rashmi Sankepally, Travis Wolfe, Ying-Ying Tran and Ted Zhang, Proceedings of the IJCNLP 2017, System Demonstrations, 2017, pdf, bib. Neural Interactive Translation Prediction, Rebecca Knowles and Philipp Koehn, Proceedings of the Conference of the Association for Machine Translation in the Americas (AMTA), 2016, pdf, bib. Machine Translation Quality and Post-Editor Productivity, Marina Sanchez-Torron and Philipp Koehn, Proceedings of the Conference of the Association for Machine Translation in the Americas (AMTA), 2016, pdf, bib. Translation of Unknown Words in Low Resource Languages, Biman Gujral, Huda Khayrallah and Philipp Koehn, Proceedings of the Conference of the Association for Machine Translation in the Americas (AMTA), 2016, pdf, bib. Syntax-based Statistical Machine Translation, Philip Williams, Rico Sennrich, Philipp Koehn, and Matt Post, Synthesis Lectures on Human Language Technologies, Morgan and Claypool Publishers, 2016, order. User Modeling in Language Learning with Macaronic Texts, Adithya Renduchintala, Rebecca Knowles, Philipp Koehn and Jason Eisner, Annual Meeting of the Association for Computational Linguistics (ACL), 2016, pdf, bib. Analyzing Learner Understanding of Novel L2 Vocabulary, Rebecca Knowles and Adithya Renduchintala and Philipp Koehn and Jason Eisner, Conference on Computational Natural Language Learning (CoNLL), 2016, pdf, bib. Modeling Selectional Preferences of Verbs and Nouns in String-to-Tree Machine Translation, Maria Nadejde, Alexandra Birch and Philipp Koehn, First Conference on Machine Translation (WMT), 2016, pdf, bib. Quick and Reliable Document Alignment via TF/IDF-weighted Cosine Distance, Christian Buck and Philipp Koehn, First Conference on Machine Translation (WMT), 2016, pdf, bib. The JHU Machine Translation Systems for WMT 2016, Shuoyang Ding, Kevin Duh, Huda Khayrallah, Philipp Koehn and Matt Post, First Conference on Machine Translation (WMT), 2016, pdf, bib. Findings of the WMT 2016 Bilingual Document Alignment Shared Task, Christian Buck and Philipp Koehn, First Conference on Machine Translation (WMT), 2016, pdf, bib. Findings of the 2016 Conference on Machine Translation, Ondřej Bojar, Rajen Chatterjee, Christian Federmann, Yvette Graham, Barry Haddow, Matthias Huck, Antonio Jimeno Yepes, Philipp Koehn, Varvara Logacheva, Christof Monz, Matteo Negri, Aurelie Neveol, Mariana Neves, Martin Popel, Matt Post, Raphael Rubino, Carolina Scarton, Lucia Specia, Marco Turchi, Karin Verspoor and Marcos Zampieri, First Conference on Machine Translation (WMT), 2016, pdf, bib. UEdin participation in the 1st Translation Memory Cleaning Shared Task, Christian Buck and Philipp Koehn, 2nd Workshop on Natural Language Processing for Translation Memories (NLP4TM), pdf, bib. Ten Years of WMT Evaluation Campaigns: Lessons Learnt, Ondrej Bojar, Christian Federmann, Barry Haddow, Philipp Koehn, Matt Post, and Lucia Specia, Proceedings of LREC 2016 Workshop Translation Evaluation: From Fragmented Tools and Data Sets to an Integrated Ecosystem, Portoroz, 2016, pdf, bib. A Verb Lexicon Model with Source-side Syntactic Context for String-to-Tree Machine Translation, Maria Nadejde, Alexandra Birch, and Philipp Koehn, Proceedings of the International Workshop on Spoken Language Translation (IWSLT), 2016, pdf, bib. Computer Aided Translation: Advances and Challenges, Philipp Koehn, Tutorial at ACL, 2016, pdf. The Operation Sequence Model—Combining N-Gram-Based and Phrase-Based Statistical Machine Translation, Nadir Durrani, Helmut Schmid, Alexander Fraser, Philipp Koehnxi and Hinrich Schütze, Computational Linguistics, Volume 41, Issue 2, June 2015, pdf. Findings of the 2015 Workshop on Statistical Machine Translation, Bojar, Ondřej and Chatterjee, Rajen and Federmann, Christian and Haddow, Barry and Huck, Matthias and Hokamp, Chris and Koehn, Philipp and Logacheva, Varvara and Monz, Christof and Negri, Matteo and Post, Matt and Scarton, Carolina and Specia, Lucia and Turchi, Marco, Proceedings of the Tenth Workshop on Statistical Machine Translation, 2015, pdf, bib. The Edinburgh/JHU Phrase-based Machine Translation Systems for WMT 2015, Haddow, Barry and Huck, Matthias and Birch, Alexandra and Bogoychev, Nikolay and Koehn, Philipp, Proceedings of the Tenth Workshop on Statistical Machine Translation, 2015, pdf, bib. Edinburgh's Syntax-Based Systems at WMT 2015, Williams, Philip and Sennrich, Rico and Nadejde, Maria and Huck, Matthias and Koehn, Philipp, Proceedings of the Tenth Workshop on Statistical Machine Translation, 2015, pdf, bib. Results of the WMT15 Metrics Shared Task, Stanojević, Miloš and Kamran, Amir and Koehn, Philipp and Bojar, Ondřej, Proceedings of the Tenth Workshop on Statistical Machine Translation, 2015, pdf, bib. Computer Aided Translation: Advances and Challenges, Philipp Koehn, Tutorial at MT Summit XV, 2015, pdf. 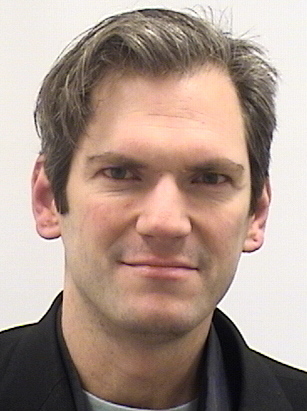 Advances in Computer Aided Translation Beyond Post-Editing, Philipp Koehn, Invited Talk at MT Summit XV, 2015, pdf. The MATECAT Tool, Federico, Marcello and Bertoldi, Nicola and Cettolo, Mauro and Negri, Matteo and Turchi, Marco and Trombetti, Marco and Cattelan, Alessandro and Farina, Antonio and Lupinetti, Domenico and Martines, Andrea and Massidda, Alberto and Schwenk, Holger and Barrault, Loïc and Blain, Frederic and Koehn, Philipp and Buck, Christian and Germann, Ulrich, Proceedings of COLING 2014, the 25th International Conference on Computational Linguistics: System Demonstrations, 2014, pdf, bib. Preference Grammars and Soft Syntactic Constraints for GHKM Syntax-based Statistical Machine Translation, Huck, Matthias and Hoang, Hieu and Koehn, Philipp, Proceedings of SSST-8, Eighth Workshop on Syntax, Semantics and Structure in Statistical Translation, 2014, pdf, bib. Edinburgh SLT and MT System Description for the IWSLT 2014 Evaluation, Alexandra Birch and Matthias Huck and Nadir Durrani and Nikolay Bogoychev and Philipp Koehn, Proceedings of the International Workshop on Spoken Language Translation (IWSLT), 2014, pdf. Combined Spoken Language Translation, Markus Freitag and Jörn Wübker and Stephan Peitz and Hermann Ney and Matthias Huck and Alexandra Birch and Nadir Durrani and Philipp Koehn and Mohammed Mediani and Isabel Slawik and Jan Niehues and Eunah Cho and Alex Waibel and Nicola Bertoldi and Mauro Cettolo and Marcello Federico, Proceedings of the International Workshop on Spoken Language Translation (IWSLT), 2014, pdf. Investigating the Usefulness of Generalized Word Representations in SMT, Durrani, Nadir and Koehn, Philipp and Schmid, Helmut and Fraser, Alexander, Proceedings of COLING 2014, the 25th International Conference on Computational Linguistics: Technical Papers, 2014, pdf, bib. Interactive translation prediction versus conventional post-editing in practice: a study with the CasMaCat workbench, Germán Sanchis-Trilles and Vicent Alabau and Christian Buck and Michael Carl and Francisco Casacuberta and Mercedes García-Martínez and Ulrich Germann and Jesús González-Rubio and Robin L. Hill and Philipp Koehn and Luis A. Leiva and Bartolomé Mesa-Lao and Daniel Ortiz-Martínez and Herve Saint-Amand and Chara Tsoukala, Machine Translation, Volume 28, Number 3-4, pages 217-235, 2014, pdf. Dynamic Topic Adaptation for Phrase-based MT, Hasler, Eva and Blunsom, Phil and Koehn, Philipp and Haddow, Barry, Proceedings of the 14th Conference of the European Chapter of the Association for Computational Linguistics, 2014, pdf, bib. Improving machine translation via triangulation and transliteration, Nadir Durrani and Philipp Koehn, Proceedings of 17th Annual conference of the European Association for Machine Translation, 2014, pdf. Combining domain and topic adaptation for SMT, Eva Hasler and Barry Haddow and Philipp Koehn, Proceedings of the Eleventh Conference of the Association for Machine Translation in the Americas (AMTA), 2014, pdf. The Impact of Machine Translation Quality on Human Post-Editing, Koehn, Philipp and Germann, Ulrich, Proceedings of the EACL 2014 Workshop on Humans and Computer-assisted Translation, 2014, pdf, bib. Using Feature Structures to Improve Verb Translation in English-to-German Statistical MT, Williams, Philip and Koehn, Philipp, Proceedings of the 3rd Workshop on Hybrid Approaches to Machine Translation (HyTra), 2014, pdf, bib. Refinements to Interactive Translation Prediction Based on Search Graphs, Koehn, Philipp and Tsoukala, Chara and Saint-Amand, Herve, Proceedings of the 52nd Annual Meeting of the Association for Computational Linguistics (Volume 2: Short Papers), 2014, pdf, bib. Findings of the 2014 Workshop on Statistical Machine Translation, Bojar, Ondrej and Buck, Christian and Federmann, Christian and Haddow, Barry and Koehn, Philipp and Leveling, Johannes and Monz, Christof and Pecina, Pavel and Post, Matt and Saint-Amand, Herve and Soricut, Radu and Specia, Lucia and Tamchyna, Aleš, Proceedings of the Ninth Workshop on Statistical Machine Translation, 2014, pdf, bib. Edinburgh's Phrase-based Machine Translation Systems for WMT-14, Durrani, Nadir and Haddow, Barry and Koehn, Philipp and Heafield, Kenneth, Proceedings of the Ninth Workshop on Statistical Machine Translation, 2014, pdf, bib. EU-BRIDGE MT: Combined Machine Translation, Freitag, Markus and Peitz, Stephan and Wuebker, Joern and Ney, Hermann and Huck, Matthias and Sennrich, Rico and Durrani, Nadir and Nadejde, Maria and Williams, Philip and Koehn, Philipp and Herrmann, Teresa and Cho, Eunah and Waibel, Alex, Proceedings of the Ninth Workshop on Statistical Machine Translation, 2014, pdf, bib. Edinburgh's Syntax-Based Systems at WMT 2014, Williams, Philip and Sennrich, Rico and Nadejde, Maria and Huck, Matthias and Hasler, Eva and Koehn, Philipp, Proceedings of the Ninth Workshop on Statistical Machine Translation, 2014, pdf, bib. Dynamic Topic Adaptation for SMT using Distributional Profiles, Hasler, Eva and Haddow, Barry and Koehn, Philipp, Proceedings of the Ninth Workshop on Statistical Machine Translation, 2014, pdf, bib. Augmenting String-to-Tree and Tree-to-String Translation with Non-Syntactic Phrases, Huck, Matthias and Hoang, Hieu and Koehn, Philipp, Proceedings of the Ninth Workshop on Statistical Machine Translation, 2014, pdf, bib. Statistical Techniques for Translating to Morphologically Rich Languages, Alexander Fraser, Kevin Knight, Philipp Koehn, Helmut Schmid, Hans Uszkoreit, Dagstuhl Reports, Volume 4, Issue 2, p. 1-16, pdf. Grouping Language Model Boundary Words to Speed K-Best Extraction from Hypergraphs, Kenneth Heafield; Philipp Koehn; Alon Lavie, Proceedings of the Conference of the North American Chapter of the Association for Computational Linguistics (NAACL), pdf, bib. Dirt Cheap Web-Scale Parallel Text from the Common Crawl, Jason R. Smith, Herve Saint-Amand, Magdalena Plamada, Philipp Koehn, Chris Callison-Burch, and Adam Lopez, Proceedings of the 51st Annual Meeting of the Association for Computational Linguistics (ACL), pdf, bib. Learning to Prune: Context-Sensitive Pruning for Syntactic MT, Wenduan Xu, Yue Zhang, Philip Williams, and Philipp Koehn, Proceedings of the 51st Annual Meeting of the Association for Computational Linguistics (ACL), pdf, bib. Can Markov Models Over Minimal Translation Units Help Phrase-Based SMT?, Nadir Durrani, Alexander Fraser, Helmut Schmid, Hieu Hoang, and Philipp Koehn, Proceedings of the 51st Annual Meeting of the Association for Computational Linguistics (ACL), pdf, bib. Scalable Modified Kneser-Ney Language Model Estimation, Kenneth Heafield, Ivan Pouzyrevsky, Jonathan H. Clark, and Philipp Koehn, Proceedings of the 51st Annual Meeting of the Association for Computational Linguistics (ACL), pdf, bib. Abstract Meaning Representation for Sembanking, Laura Banarescu, Claire Bonial, Shu Cai, Madalina Georgescu, Kira Griffitt, Ulf Hermjakob, Kevin Knight, Philipp Koehn, Martha Palmer, and Nathan Schneider, Proceedings of the 7th Linguistic Annotation Workshop and Interoperability with Discourse, pdf, bib. Findings of the 2013 Workshop on Statistical Machine Translation, Ondrej Bojar, Christian Buck, Chris Callison-Burch, Christian Federmann, Barry Haddow, Philipp Koehn, Christof Monz, Matt Post, Radu Soricut, and Lucia Specia, Proceedings of the Eighth Workshop on Statistical Machine Translation, pdf, bib. The Feasibility of HMEANT as a Human MT Evaluation Metric, Alexandra Birch, Barry Haddow, Ulrich Germann, Maria Nadejde, Christian Buck, and Philipp Koehn, Proceedings of the Eighth Workshop on Statistical Machine Translation, pdf, bib. Edinburgh's Machine Translation Systems for European Language Pairs, Nadir Durrani, Barry Haddow, Kenneth Heafield, and Philipp Koehn, Proceedings of the Eighth Workshop on Statistical Machine Translation, pdf, bib. Edinburgh's Syntax-Based Machine Translation Systems, Maria Nadejde, Philip Williams, and Philipp Koehn, Proceedings of the Eighth Workshop on Statistical Machine Translation, pdf, bib. Advanced Computer Aided Translation with a Web-Based Workbench, Vicent Alabau, Ragnar Bonk, Christian Buck, Michael Carl, Francisco Casacuberta, Mercedes Garcia-Martinez, Philipp Koehn, Luis Leiva , Bartolome Mesa-Lao, Herve Saint-Amand, Chara Tsoukala, German Sanchis, Daniel Ortiz and Jesus Gonzalez , The 2nd Workshop on Post-Editing Technologies and Practice, pdf. CASMACAT: An Open Source Workbench for Advanced Computer Aided Translation, Vicent Alabau, Ragnar Bonk, Christian Buck, Michael Carl, Francisco Casacuberta, Mercedes García-Martínez, Jesús González, Philipp Koehn, Luis Leiva, Bartolomé Mesa-Lao, Daniel Ortiz, Herve Saint-Amand, Germán Sanchis, Chara Tsoukala, The Prague Bulletin of Mathematical Linguistics, Number 100, October 2013, pages 101-112, pdf. Statistical noun phrase translation, Philipp Koehn, United States Patent 8,548,794 B2, awarded 2013, pdf. Language Model Rest Costs and Space-Efficient Storage, Kenneth Heafield, Philipp Koehn and Alon Lavie, Proceedings of Empirical Methods in Natural Language Processing (EMNLP), 2012, pdf. Hallucinated N-Best Lists for Discriminative Language Modeling, Kenji Sagae, Maider Lehr, Emily Prud'hommeaux, Puyang Xu, Nathan Glenn, Damianos Karakos, Sanjeev Khudanpur, Brian Roark, Murat Saraçlar, Izhak Shafran, Daniel Bikel, Chris Callison-Burch, Yuan Cao, Keith Hall, Eva Hasler, Philipp Koehn, Adam Lopez, Matt Post, Darcey Riley, IEEE International Conference on Acoustics, Speech, and Signal Processing (ICASSP), 2012, pdf. Continuous Space Discriminative Language Modeling, Puyang Xu, Sanjeev Khudanpur, Maider Lehr, Emily Prud'hommeaux, Nathan Glenn, Damianos Karakos, Brian Roark, Kenji Sagae, Murat Saraçlar, Izhak Shafran, Dan Bikel, Chris Callison-Burch, Yuan Cao, Keith Hall, Eva Hasler, Philipp Koehn, Adam Lopez, Matt Post, Darcey Riley, IEEE International Conference on Acoustics, Speech, and Signal Processing (ICASSP), 2012, pdf. Semi-Supervised Discriminative Language Modeling for Turkish ASR, Arda Çelebi, Haçim Sak, Erinç Dikici, Murat Saraçlar, Maider Lehr, Emily Tucker Prud'hommeaux, Puyang Xu, Nathan Glenn, Damianos Karakos, Sanjeev Khudanpur, Brian Roark, Kenji Sagae, Izhak Shafran, Dan Bikel, Chris Callison-Burch, Yuan Cao, Keith Hall, Eva Hasler, Philipp Koehn, Adam Lopez, Matt Post, Darcey Riley, IEEE International Conference on Acoustics, Speech, and Signal Processing (ICASSP), 2012, pdf. Machine Translation, Philipp Koehn, Chapter in Multilingual Natural Language Processing Applications: From Theory to Practice, editors Imed Zitouni and Daniel M. Bikel, IBM Press, 2012, pdf. Statistical Machine Translation, Philipp Koehn, textbook, Cambridge University Press, January 2010, web, amazon.uk , amazon.com . An Experimental Management System, Philipp Koehn, The Prague Bulletin of Mathematical Linguistics, number 94, pages 87-96, September 2010, pdf. Monte Carlo Techniques for Phrase-Based Translation, Abhishek Arun, Barry Haddow, Philipp Koehn, Adam Lopez, Chris Dyer and Miles Osborne, Machine Translation Journal, Volume 24, Number 2, pages 103-121, 2010, pdf. Fast Approximate String Matching with Suffix Arrays and A* Parsing, Philipp Koehn and Jean Senellart, Meeting of the Association for Machine Translation of the Americas (AMTA), 2010, pdf. Empirical Methods for Splitting Compound Words with Application to Machine Translation, Philipp Koehn, United States Patent 7711545, awarded 2010, pdf. A process study of computer-aided translation, Philipp Koehn, Machine Translation Journal, 2009, volume 23, number 4, pages 241-263, data, pdf. Review of Cyril Goutte, Nicola Cancedda, Marc Dymetman, and George Foster (eds): Learning machine translation, Philipp Koehn, Machine Translation Journal, 2009, volume 23, number 4, pages 269-271, pdf. A Uniform Framework for Phrase-Based, Hierarchical and Syntax-Based Machine Translation, Hieu Hoang, Philipp Koehn and Adam Lopez, International Workshop on Machine Translation (IWSLT), 2009, pdf. Selective addition of corpus-extracted phrasal lexical rules to a rule-based machine translation system, Loïc Dugast, Jean Senellart and Philipp Koehn, MT Summit XII, 2009, pdf. Monte Carlo Inference and Maximization for Phrase-based Translation, Abhishek Arun, Chris Dyer, Barry Haddow, Phil Blunsom, Adam Lopez and Philipp Koehn, Conference on Computational Natural Language Learning, 2009, pdf, bib. A Web-Based Interactive Computer Aided Translation Tool, Philipp Koehn, ACL Software demonstration, 2009, pdf, bib. Word Lattices for Multi-Source Translation, Josh Schroeder, Trevor Cohn and Philipp Koehn, EACL 2009, pdf, bib. Improving Mid-Range Re-Ordering using Templates of Factors, Hieu Hoang and Philipp Koehn, EACL 2009, pdf, bib. Findings of the 2009 Workshop on Statistical Machine Translation, Chris Callison-Burch, Philipp Koehn, Christof Monz and Josh Schroeder, EACL Workshop on Statistical Machine Translation 2009, pdf. Statistical Post Editing and Dictionary Extraction: Systran/Edinburgh submissions for ACL-WMT2009, Loïc Dugast, Jean Senellart and Philipp Koehn, EACL Workshop on Statistical Machine Translation 2009, pdf. Edinburgh’s Submission to all Tracks of the WMT2009 Shared Task with Reordering and Speed Improvements to Moses, Philipp Koehn and Barry Haddow, EACL Workshop on Statistical Machine Translation 2009, pdf. A Systematic Analysis of Translation Model Search Spaces, Michael Auli, Adam Lopez, Hieu Hoang and Philipp Koehn, EACL Workshop on Statistical Machine Translation 2009, pdf. 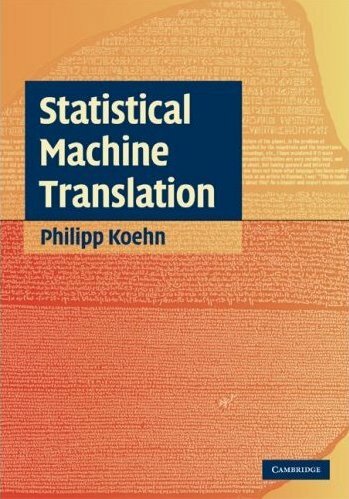 Statistical Machine Translation, Philipp Koehn and Kevin Knight, United States Patent 7624005, awarded 2009, pdf. Constructing a translation lexicon from comparable, non-parallel corpora, Daniel Marcu, Kevin Knight, Dragos Munteanu, Philipp Koehn:, United States Patent 7620538, awarded 2009, pdf. Large and Diverse Language Models for Statistical Machine Translation, Holger Schwenk and Philipp Koehn, IJCNLP 2008, pdf. Design of the Moses Decoder for Statistical Machine Translation, Hieu Hoang and Philipp Koehn, ACL Workshop on Software engineering, testing, and quality assurance for NLP 2008, pdf. Can we Relearn an RBMT System?, Loic Dugastr, Jean Senellart and Philipp Koehn, ACL Workshop on Statistical Machine Translation 2008, pdf. Predicting Success in Machine Translation, Alexandra Birch, Miles Osborne and Philipp Koehn, EMNLP 2008, pdf. Phrase-Based Joint Probability Model for Statistical Machine Translation, Daniel Marcu, Kevin Knight, William Wong and Philipp Koehn, United States Patent 7454326, awarded 2008, pdf. (Meta-) Evaluation of Machine Translation, Chris Callison-Burch, Cameron Fordyce, Philipp Koehn, Christof Monz and Josh Schroeder, ACL Workshop on Statistical Machine Translation 2007, pdf. Experiments in Domain Adaptation for Statistical Machine Translation, Philipp Koehn and Josh Schroeder, ACL Workshop on Statistical Machine Translation 2007, pdf. CCG Supertags in Factored Statistical Machine Translation, Alexandra Birch, Miles Osborne and Philipp Koehn, ACL Workshop on Statistical Machine Translation 2007, pdf. Statistical Post-Edition on SYSTRAN Rule-Based Translation System, Loïc Dugast, Jean Senellart, Michel Simard and Philipp Koehn, ACL Workshop on Statistical Machine Translation 2007, pdf. Online Learning Methods For Discriminative Training of Phrase Based Statistical Machine Translation, Abhishek Arun and Philipp Koehn, MT Summit XI, 2007, pdf. Statistical Machine Translation: the basic, the novel, and the speculative, Philipp Koehn, Tutorial at EACL 2006, slides, video: part 1, part 2. Edinburgh System Description for the 2006 TC-STAR Spoken Language Translation Evaluation, Abhishek Arun, Amittai Axelrod, Philipp Koehn, TC-Star Evaluation Workshop, 2006, pdf. Clause Restructuring for Statistical Machine Translation Michael Collins, Philipp Koehn, and Ivona Kucerova, ACL 2005, pdf. Shared Task: Statistical Machine Translation between European Languages, Philipp Koehn and Christof Monz ACL 2005 Workshop on Parallel Text, pdf. Edinburgh System Description for the 2005 IWSLT Speech Translation Evaluation, Philipp Koehn, Amittai Axelrod, Alexandra Birch Mayne, Chris Callison-Burch, Miles Osborne and David Talbot, International Workshop on Spoken Language Translation 2005, pdf. Edinburgh System Description for the 2005 NIST MT Evaluation, Philipp Koehn, Amittai Axelrod, Alexandra Birch Mayne, Chris Callison-Burch, Miles Osborne, David Talbot, and Michael White, MT Eval Workshop 2005, pdf, slides. Introduction to Statistical Machine Translation, Chris Callison-Burch and Philipp Koehn, European Summer School for Language and Logic (ESSLL) 2005, day1, 2, 3, 4, 5. Challenges in Statistical Machine Translation, Philipp Koehn, Talk given at PARC, Google, ISI, MITRE, BBN, Univ. of Montreal, 2004, slides. Desparately Seeking Cebuano, Douglas W. Oard, David Doermann, Bonnie Dorr, Daqing He, Philip Resnik, Amy Weinberg, William Byrne, Sanjeev Khudanpur, David Yarowsky, Anton Leuski, Philipp Koehn, and Kevin Knight, NAACL-HLT 2003, pdf. Do not spell my name like this: Phillip Koehn, Philip Koehn, Phillipp Koehn, Phillip Köhn, Philip Köhn, Phillipp Köhn, Phillip Kohn, Philip Kohn, Phillipp Kohn, Philipp Kohn. My real name is Philipp Köhn, but the preferred spelling is Philipp Koehn.